Search McKenzie Lake homes for sale & just listed real estate in South East Calgary. McKenzie Lake is a luxurious, suburban neighborhood in southeast Calgary, Alberta, Canada. As its name suggests, much of this neighborhood's selling proposition lies on its artificial lake, a community feature that is popular around many of Calgary's residential areas. For information about the newest listings in McKenzie Lak for sale or to schedule a home showing, contact your Calgary real estate experts. McKenzie Lake housing market statistics: As of April 24, 2019 there are currently 57 properties for sale in McKenzie Lake listed as active, with an average asking price of $663,124. The highest-priced property is $2,199,000; the lowest priced property can be purchased for $279,900. McKenzie Lake neighbourhood listings have an average price of $324 per square foot, based on listings with 3.8 bedrooms, 3.4 baths, and 2,008 square feet of living space. 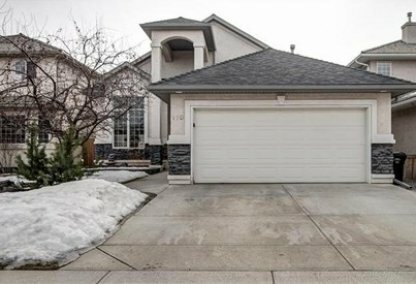 Want to purchase a home in McKenzie Lake Calgary? Call your McKenzie Lake real estate team, Justin Havre at RE/MAX First - 403.217.0003. Your neighbourhood McKenzie Lake real estate agents and agents are here to help with the McKenzie Lake housing market in Calgary. Named after an early Calgary settler, J. McKenzie, the community of McKenzie Lake has a great location that is immediately east of Fish Creek Provincial Park. This neighborhood also has 130th Ave SE on the north, Deerfoot Trail on the east, and Highway 22X (Marquis of Lorne Trail) to the south. The community was annexed to Calgary in 1970, and started its development sometime in the mid-1980s. The original neighborhood was built in 1984 and was expanded in 1997 when neighboring Legacy Ridge was developed. The development of this belt of agricultural land separating McKenzie Lake from McKenzie proper unified the two areas. McKenzie Lake is one of Calgary's largest neighborhoods; according to a 2006 census, the community had a population of nearly 15,000 residents. It also ranks as one of the most luxurious neighborhoods, with multi-million dollar homes lining the community's lake which also features an island in the middle. Most of the residential real estate in this neighborhood is single-family detached homes, and 6.3% of the total houses can be rented. 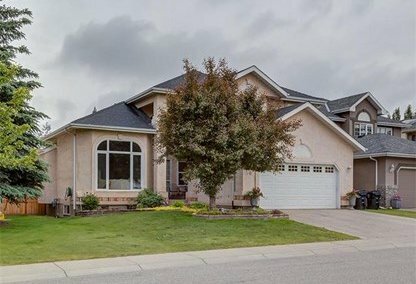 McKenzie Lake homes currently up for sale have starting prices that range from $275,000 to $2.5 million, a wide range that appeals to varying budgets and lifestyles. Excellent views of both the city and the mountains are but some of the joys that draw families to settle within the neighbourhood of McKenzie Lake. With its population growth, McKenzie Lake real estate has likewise attracted several shopping malls and recreation centers, besides those conveniently within reach through the Calgary downtown. The educational facilities near McKenzie Lake homes for sale not only include public and separate schools but also include preschool and after-school programs organized by McKenzie Lake's community association. Other activities that this association offers include programs on youth baseball, dance and exercise classes, and basketball. Thinking of buying or selling a home in McKenzie Lake? Let our local real estate agents help guide you through the purchase of your next home, or to expertly negotiate the sale of your current home. As local McKenzie Lake real estate agents, we're experts on the market dynamics unique to the McKenzie Lake real estate market. We'll get to work for you today! Contact Justin Havre at RE/MAX First - 403.217.0003 to learn more about buyer or seller representation. Planning to sell your McKenzie Lake home? Check out our free home evaluation, where you can instantly price your Calgary home price your McKenzie Lake home online, in minutes!